Last night Roger and I went to see The Red Lion at the Dorfman Theatre on London's glitzy South Bank. 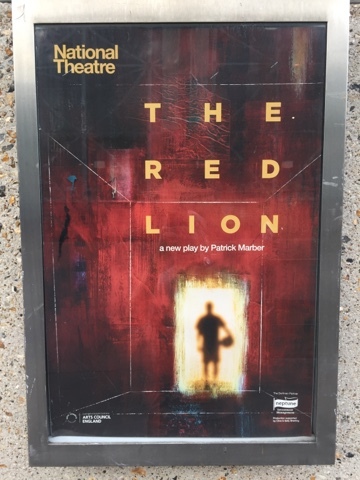 Patrick Marber's three-hander The Red Lion tells the story of small-time semi-professional grass-roots non-league football club, its staff and players. The arrival of a new young player (Calvin Demba) brings out the best and the worst in everyone - not least the wheeler-dealer manager (Daniel Mays) and long serving kit man (Peter Wight). The locker room is lovingly realised by Anthony Ward, Patrick Marber's script is electric and Ian Rickson's production shines.